Neurons and Neuronettes, Welcome back to the Neuroniverse! This episode I have the great pleasure of speaking with an old college buddy of mine, Robert J. Dean! 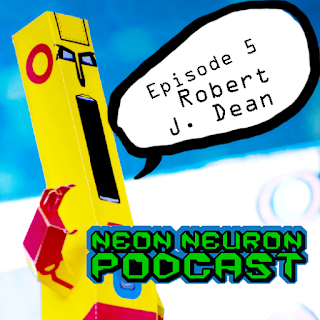 In this first half of a two part interview we talk about quitting the smoking habit effectively, coffee shop cup art, Rob's amazing anime figurine collection and of course art! Then, our conversation gets interrupted... How rude!